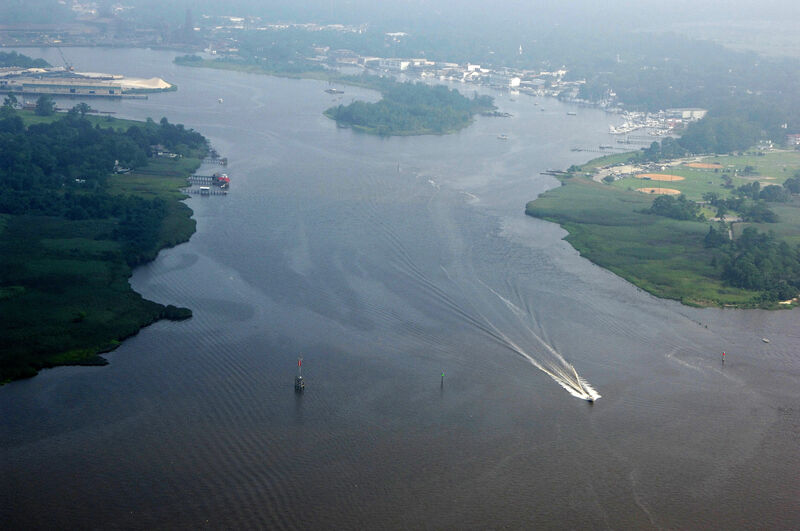 Georgetown Harbor is located off Winyah Bay south of the Great Pee Dee and Waccamaw rivers at Sampit Point. 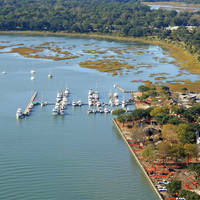 Georgetown is 56 miles northeast of Charleston and 52 miles southwest of the South Carolina-North Carolina border. The city of Georgetown has recently made many improvements for visiting boaters including adding 40 moorings for boats up to 60 feet and improving a landing area ashore for dinghies to tie up. 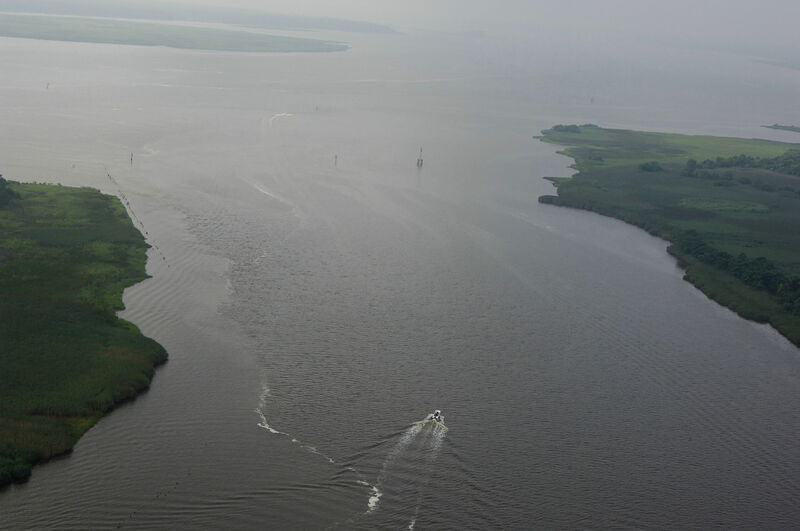 From Winyah Bay (traveling north or south), plot a course for quick flashing green buoy 39 and quick flashing red 40 east of Sampit Point at the entrance to Georgetown Harbor. Once you have cleared the entrance buoys, pick up flashing green 41 and flashing red 42; these will take you into the harbor itself. (These two marks are clearly visible in the image above.) Flashing red S marks the junction of the Sampit River and Georgetown Harbor. From flashing red S, the Georgetown waterfront is located to starboard. 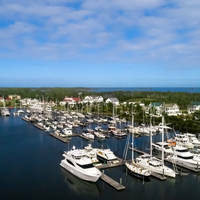 There are several marinas here with repairs and transient slips, and anchoring is permitted in areas not already taken by city-administered moorings, which are a recent addition to the harbor. Ashore there are a market. a pharmacy and a liquor store where you can stock up on supplies to replenish your galley. No reviews yet! 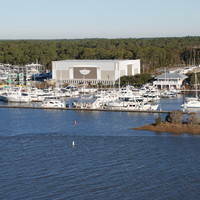 Be the first to write a review of Georgetown Harbor Inlet.